In my last two group projects my world has been turned upside down with the pain that we like to call the rails asset pipeline. On the surface level any rails projects ships with its own standard folders and directories which keep all your files. We call these files “assets”. In a rails project is very likely that you will have code that you write and then code and libraries that you use from other people, either open source or commercial. Our main problem that we faced in the asset pipeline was integrating other people’s code into our app. For my two projects on our localhost the app worked fine (for the most part) but whenever we deployed to Heroku there were all kinds of problems. It took hours to figure out and the problems were 97% of the time caused by the rails asset pipeline. Airplanes and the idea of flight fascinated me as a young boy. I remember the anticipation of traveling to far away places with my family and could not wait to sit down in my blastoff seat and buckle up. One of my favourite things to do on the airplane was to check the flight log application on the tv in front of me. My brother would watch movies and I was the weird kid constantly clicking the screen to show the temperature, altitude and flight path along the journey. The movement changed very little minute by minute but sitting there watching the small airplane move was enough entertainment for me. Last night I set out to make my own flight log visualization app using the google maps api. Once you have the array of styles you can use that to create a styled google maps object. Next you can just to display that maps object on your index.html page. After you have a working map on your index.html page, the next step is to gather the starting location and destination from a user and retrieve the relevant latitude and longitudes based on those locations. Once you have the location you then need to create a url to pass through the google maps API in order to retrieve the relevant location JSON data. Google is smart and uses advanced geocoding to map a location “word” to it’s relevant latitude and longitude. 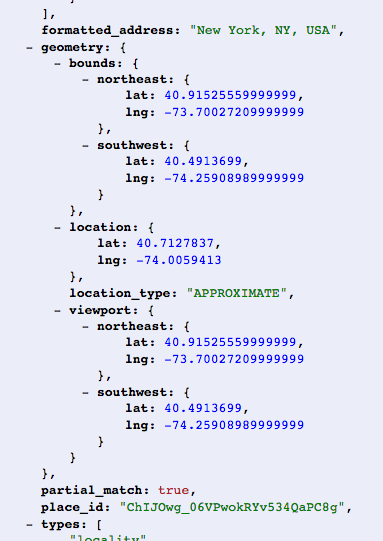 You can use a jQuery.getJSON(); AJAX request to retrieve the lat-lng from google based on their geocoded locality. That request responds with a JSON of relevant map information based on the location parameter that you passed in. The final step is to draw a Polyline and use a generated Polygon to generate the path between the two locations. // // at fixed intervals. The Polyline function creates a line between two points on the google maps path. You can adjust the size, shape and color of the path in the lineSymbol variable. Using the lineSymbol variable you can create the actual Polyline using Google’s built in “new google.maps.Polyline()” function passing in your lineSymbol variagtions and lineCoordinates between the two points. Finally you have to call the animateCircle() function to actually create the Polyline and display it on the page. And voila you have your first functioning flight log simulator! Google uses SVG objects exclusively for their map symbols. The problem here is that you are only limited to a few default SVG symbols. An SVG is a vector based image format for 2D graphics. It is possible to create your own SVGs and after countless attempts I was not able to get it working while drawing the image. For some reason the google maps object was not recognizing my SVG symbol. I would also love to add some curvature to the flight path. Right now the Polyline draws a direct line path between the two location points. Although visually appealing it is not scientifically accurate. The next step would be to figure out how to add a curved path between the two location points. The google maps api is a lot of fun to work with. The API docs are super helpful and you can get up and running in a matter of minutes. After inundating myself with Ruby for close to six consecutive weeks it was time for us to go on a break. We had a lot of fun together and we learned a lot about each other but evidently in the end, we needed a break to really figure some things out. It is human nature to want to compare one thing to another. That has been our process through years of evolution. We make patterns and connections in our mind from past experiences which helps us to make sense of the world. The process of connecting those dots happens with people as well as new languages. However the beauty of something new lies within it’s differences! The magic of learning something that you never knew before is undoubtedly the patterns that are fresh, that are brand new. var myName = "Sade Adu"
In the first example you can use a Function constructor which sort of acts like a class in Ruby. With a Function constructor you can attach methods to the function and create instances of the constructor, similar to an instance object in ruby. In the second example you can use a Function declaration which allows you to pass that function around to other areas of your program. In the third example you can declare a function using a Function expression which will be local to the environment that you are working in. A function expression can be useful when you only need to use a function object in one area of your program and you want it to stay local to that scope. In the above example we use a method changeName which will allow you to change the name of your object. It’s important to note here that arguments is not an array, but rather an array-like object. There are certain methods you can use on arguments which behave like an array and others you cannot. Using a prototype allows us to add new properties and methods to the Artist object. Whether you are creating a prototype property or method, the really useful feature is that it is available to all of the objects when you attach it. x =// is now "Sade"
In this example a and b are undefined when the program runs. The reason is because the declaration (var a), not the initialization (=”Sade”) is hoisted to the top. 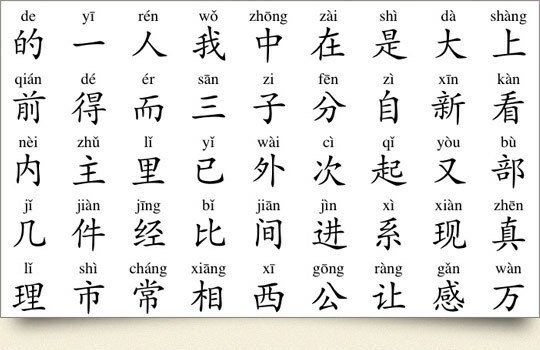 So remember that in hoisting ONLY the declarations get hoisted to the top, not the expressions or initializations. Declarations = pushed, not anything else. In our next installment we will talk about IIFE, closures and *this! Okay I learned one of the coolest ruby techniques that I’ve seen thus far, it’s called recursion and it’s awesome. Recursion allows you to define a function(method) then call itself within the body of that function. On first glance it looks very confusing but basically you are using the function within the function itself. Even trying to explain it here is very tough. Let’s try an example. but with recursion we can save time and energy by calling the function on itself. Using recursion we can write less code and make our program look cleaner. For instance let’s say we have countdown(10). Following the path in the code block we check if n is equal to 0. Since it’s not we move on to the else portion of the code block. We puts n and then find countdown(n-1) which is the same as countdown(9). At this point we have to go through the steps again using “n-1″. Ok let’s check if “n-1″ is equal to 0. 9 does not equal 0 so we go to the else portion of the code block, puts 9 and then run through countdown(9-1) or countdown(8). The program runs through this system until countdown(1) where countdown(n-1) would equal 0 and the program can end. This was not a very thorough explanation I know. I’m still wrapping my head around it myself but I wanted to type it out to understand it better. I’ll have a more structured answer for you in a bit! write = left/100              # How many hundreds left to write out? left = left - write*100       # Subtract off those hundreds. left = left - write*10        # Subtract off those tens. The above code snippet is part of a program that turns an integer into it’s english version. E.g. if the number “1” passes through the program it will return “one”. The whole program is relatively simple and pretty straightforward but I wanted to talk about it because it exposes one of the most interesting things I’ve found in programming. Simplicity is the gift and curse of programming. For the last hour I’ve written out this program then manually went through each step to find out what’s really happening. With pen to paper I’ve drawn out each sequence, following along as the program moves from line to line. I’ve spent the last hour trying to figure out what happens in the above section. I knew that it was an easy solution but I couldn’t quite figure it out. At the end I realized that I was returning the float instead of the integer in the “write” section. It makes a difference using “32 – 32″ as opposed to “32 – 30″. These are the biggest mistakes I make when writing code. It’s the simple things that sometimes trip me up. Whether it’s missing out an apostrophe for quotation marks or not writing out the full variable name, I always find small errors when I go over my code. I have a high attention to detail but with programming you must take that to another level. It’s a gift and a curse because code allows you to solve complex problems with relatively simple structures, algorithms and programs. On the other side it can also be a curse because you can make simple mistakes if you’re not thoroughly attentive to detail. This also boils over to real life. The biggest problems we have our usually related to the simpler things. Overweight? You probably are eating the wrong foods at the wrong time. Tired? You might not be getting enough sunlight or exercise. Of course most of the time there are a lot of other external factors which also contribute to these problems. However, the best steps to solving them are most effective when addressing the basic issues first. Let’s make sure to take care of the simple things. The Ruby inject method has a few different use cases. For me personally I’m really starting to love summing numbers with the method. It’s still a little confusing for me but I think I’m finally starting to get the hang of it. The inject method takes an argument and a block. In this example we set the argument as “0” and the block is “|x,y| x+y”. When we call the inject method, the argument gets set as the first parameter of the block. In our case “x” would initialize to “0”. [If there is no argument then inject just takes the first element of the array as the first parameter “x”. ] Next inject takes the second parameter “y” as the first element in our array which is “5”. So now in our block we have “|0,5| 0 + 5″. This block evaluates to the integer 5 and inject stores that as “x” for the next iteration. In the next iteration we have “|5,6| 5+6″. Enumerable#inject iterates through each element of the array and sets the value of the block to the first parameter “x”. That is how it sums up all of the integers in the array. It’s a very useful tool and can be used in a variety of instances. Using inject we save time and space by writing less code. I’ll be trying to use inject more often, especially when I have to sum certain values. I’ll get a deeper understanding of it when I use it more.